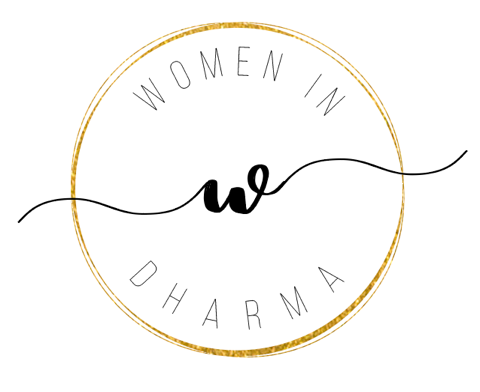 On the podcast this week is Samantha Llorente and Blair Connelly of Women In Dharma. Sam and Blair are two of the five team members at Women in Dharma, where they create unique, uplifting and life-changing experiences to support women living their Dharma everyday. They want to show women that they can have it all – family, career, and self-fulfillment. They’re also pushing the envelope of how they do business, from equal pay across all their team members and truly working together as a team with equal voices. From coaching, retreats, to soulful photography, Women in Dharma supports you on your journey of you being you. They lead journeys that will inspire you, awaken your higher self, and transform your being. In this week’s episode we chat all about the inspiration behind Women in Dharma and how their community came together, what is dharma and how to tap into it, Sam and Blair’s share their wellness and healing journeys and how they’ve embraced the twists and turns along the way, their top tips for connecting to the soulful you, useful, actionable dharma tools such as the Enneagram and how we can use it as an energy assessment tool, their go-to mantras, and SO much more! I’m so excited about this one and can’t wait to hear what you think! Make sure to join the conversation on Instagram, Facebook and Twitter! Women in Dharma was born from a seed that was planted a long time ago. It’s a seed that’s been in all women; a deeper yearning to live a meaningful life where we get to contribute to others while fulfilling our own unique desires. As Women in Dharma shares, gone are the days of staying in the same role or job that snuffs our creativity or stresses us to the point of losing ourselves. As Collectively we’re realizing as women that there is so much more to life than this. They created Women in Dharma to be a platform for an inspiring community where authentic self-expression and abundant support can take place everyday. They are stepping forward into their beautiful and unique selves, and inspiring others to do the same. At Women in Dharma they believe every person deserves to live in Dharma. As a personal growth and transformation organization, they nurture a community to help women embrace their Dharma. They support women who want to inspire the world, and they’ve done that by creating a co-operative business with no hierarchy, that gives their owners equal say, pay, and ownership. They believe everyone’s Dharma is equally valuable. For Sam and Blair, it’s the journey of you being you. This idea of purpose is a hot topic right now, and something that I’ve certainly spent quite a lot of time thinking about. So many of us wonder or worry that an action or a “wrong” turn will take us off our path, and it was so great to hear Sam and Blair’s perspective on this. The truth is, every twist and turn, and the lessons and growth we gain along the way, is part of the journey. Samantha (Sam) Llorente is the Director and a founding Women in Dharma member. Her dharmic roles are culture champion, wholistic wellness, and spiritual eating expert. Her passion for connecting others with their food, bodies, and the earth has allowed her to support others in their spiritual and physical healing. It was wonderful to hear about Sam’s healing and wellness journey. Through coaching and soul-searching, she discovered that what was missing was a connection with her heart. She experienced tremendous healing by showing up vulnerably with others, and her choice to act from love instead of fear has allowed her to be more empowered. Her vision is to help others awaken to the beauty of living courageously from their heart. 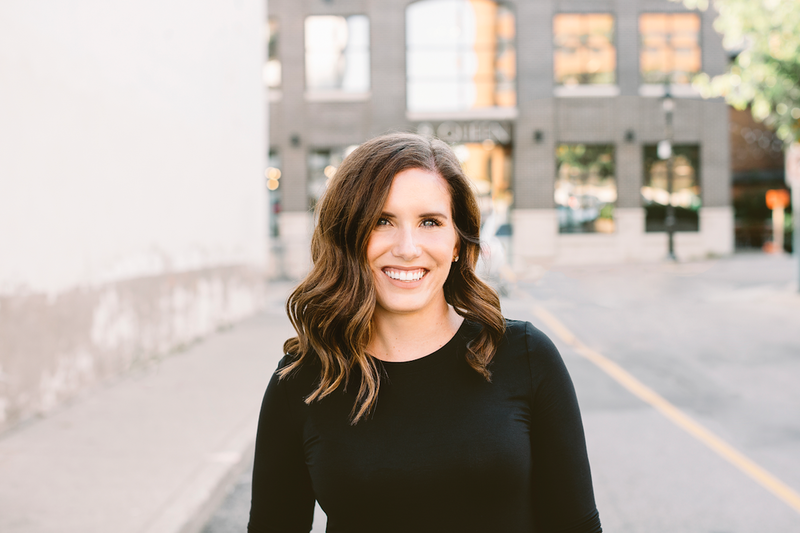 Sam’s sister Megan has been instrumental in her journey too, and the choice to become Megan’s guinea pig client when she started her coaching business was a game changer. It allowed her to see that it’s possible to be happy beyond her wildest imagination, and for the first time she felt control in her life. Blair Connelly is a founding Women in Dharma member, and her dharmic roles are holistic healer, intuitive guide, and soul connector. Her passion for connection and desire to inspire real, authentic, and meaningful connections has allowed her to create opportunities for individuals to root into their most authentic essence. As a kid, Blair always wanted to understand the “why” behind everything, no matter how small or big it was. As she got older, her curiosity followed her into discovering perhaps her biggest questions yet - her own life purpose. This inspired her heart-led passion of supporting others in their own journey of self-discovery too. In this week’s episode Blair shares that after she finished her undergrad and hockey career she felt lost and unaware of who she was outside of sport. Like so many of us, she defined who she was based on the external. This led her down a path of self-discovery and transformation that she remains so grateful for. The opportunity to hear about Blair’s healing and wellness journey reminded me that there is so much joy in connection, and that forming those connections often require us to stand in our courage. Blair and Sam also share their top tips for connecting to the soulful you. From time spent in introspection, journaling and meditation - to being out in nature, they share useful, actionable dharma tools that they use in their life. We also talk about the Enneagram and how we can use it as an energy assessment tool to help you on your spiritual growth journey. Do you want to figure out your core energy type? Below are the questions Sam and Blair ask me during Thursday’s reading. After you check out these two questions, I encourage you to check out their Enneagram Ranking Exercise (https://womenindharma.com/enneagram/) or reach out to hello@womenindharma.com to book a connection call where they can walk you through a step-by-step discovery just like they did with me! What’s your most natural way of leading? Introspective: you prefer to take a mindful approach. You tend to observe what’s happening and how you think or feel about it before taking action. Supportive: you prefer to contribute towards a greater goal. You tend to want guidance and input from those around you before making a decision. Assertive: you prefer to take an active and direct approach. You tend to move at a quicker pace. You rally, inspire and direct those around you. What’s your most natural way of making a decision? Gut: you experience decisions by listening to your body — you’ll feel the best course of action as an instant ‘yes’ or ‘no’ sensation in the body. Head: you make your decisions by cycling through a stream of possibilities — you’ll continuously think through the cause and effect of multiple scenarios to make the best decision. Tune in on Thursday to hear my responses and my core energy type! Everything that Women in Dharma offers comes from a wholesome intention: to support you being you. From the circle, soulful you, to one-on-one coaching, there is something for everyone. I really enjoyed connecting with Blair and Sam, and I’m so excited for you all to hear this conversation on embracing the soulful you, and living in dharma. Check out the Enneagram Energy Ranking Exercise to connect with the energies of the Enneagram AND tune in on THURSDAY to hear Sam and Blair give me a reading! THE POWER OF STORYTELLING: The next episode in our series, The Power of Storytelling, airs on April 16th! We want you to be part of it! To learn more and to submit your story, visit the Share Your Story section of our website. Fill out our interest form - and we'll get back to you ASAP. JOY CORNER: Our interview-style blog series spotlighting inspiring souls, moments that bring you joy, products we love, and so much more. Join our corner of the internet - share your joys, passions, and moments of inspiration. Ready to share your light, magic and joy? Get in touch here - a new post in this series goes live on our site every Thursday.